Memphis is full of fun attractions for every age. Many people associate Memphis with Rock n’ Roll and southern culture, but there is so much more. Once you arrive in Memphis, you will feel the city’s unique energy. Memphis is always an adventure. Here are six great attractions in the River City. If you come to Memphis, you must visit Graceland. Graceland is the former home of the music legend Elvis Presley. It is full of incredible Elvis Presley memorabilia and other great Elvis knickknacks. Elvis’ private airplanes, motorcycle and automobile collections and Elvis artwork are all on display. Graceland is the second-most visited house in the United States, just behind the White House. Stax is another part of Memphis’ music history. It was a recording studio where classic soul artists such as Otis Redding and Isaac Hayes cut many of their greatest hits. The Stax Museum is dedicated entirely to soul music, the only museum of its kind in the world. Memphis is not just a music town. Their zoo is internationally acclaimed and has more than 500 species of animals. The the Memphis Zoo is split into three different animal zones: Teton Trek, China and Northwest Passage. Each area has different animals in their original habitats. Recently, the Memphis Zoo was ranked the best zoo in America. Part of Memphis’ culture is its place in the American Civil Rights Movement. As you may know, Martin Luther King Jr. was assassinated in Memphis at the Lorraine Motel. Today, the motel is a museum in honor of Dr. King and the change he brought to the world. Sun Studio is another famous recording studio in Memphis. 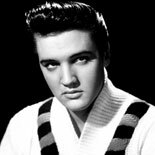 Elvis Presley recorded “That’s When Your Heartaches Begin” in Sun Studio, putting it on the map of the music business and earning its legendary status. You can stand in the very room where artists such as Johnny Cash, Roy Orbison and Carl Perkins recorded some of their best and most influential work. During your time in Memphis you must take a riverboat cruise. Memphis is built along the Mississippi River and the town owes much of its legendary status in American culture to the muddy river. There are a variety of riverboats to choose from, so it shouldn’t be very difficult to take advantage of the mighty Mississippi. Ride down the river that impressed great writers such as Mark Twain and feel American history floating under your feet.